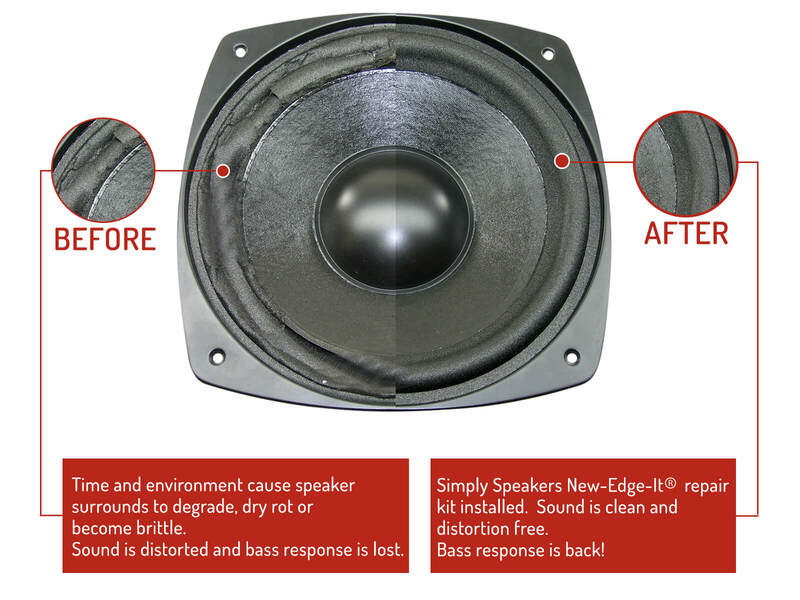 Your kit provided an inexpensive way to restore these speakers to like new condition. The hardest part is getting the old surround off of the cone. Total time to fix these was about an hour and a half. Now that I have done this once I could do this job again in much less time. I am sure that I will be ordering from you again in the future. The speakers are back to their original sound. 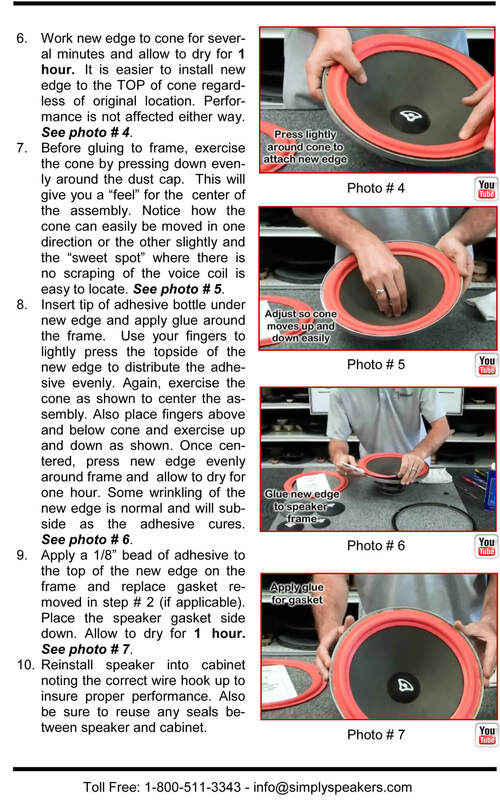 A few pointers with the installation, 1. no need to remove the speaker from the cabinet, 2. 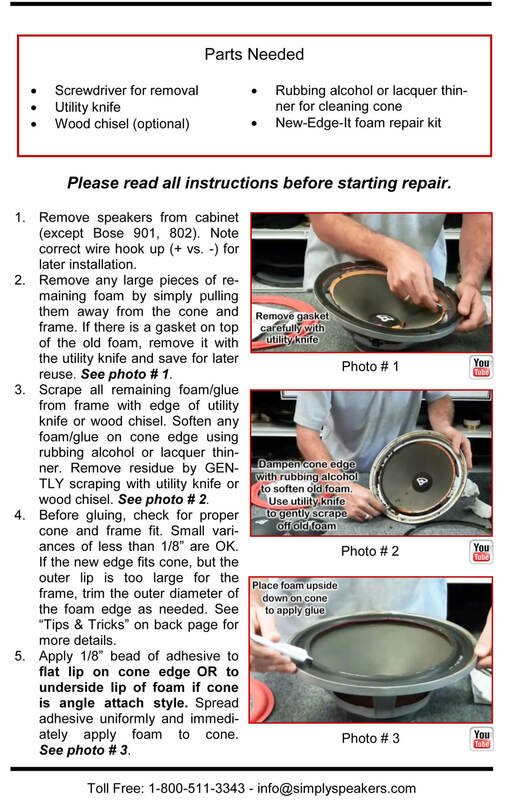 The foam required trimming to fit within the speaker rim, 3. removal of the old foam was a bit messy as the previous glue was still gummy. Simply excellent, Simply Speakers. I'd forgotten how beautiful the ADS 300C sound. New surrounds...pure 4-ohm rush of details! 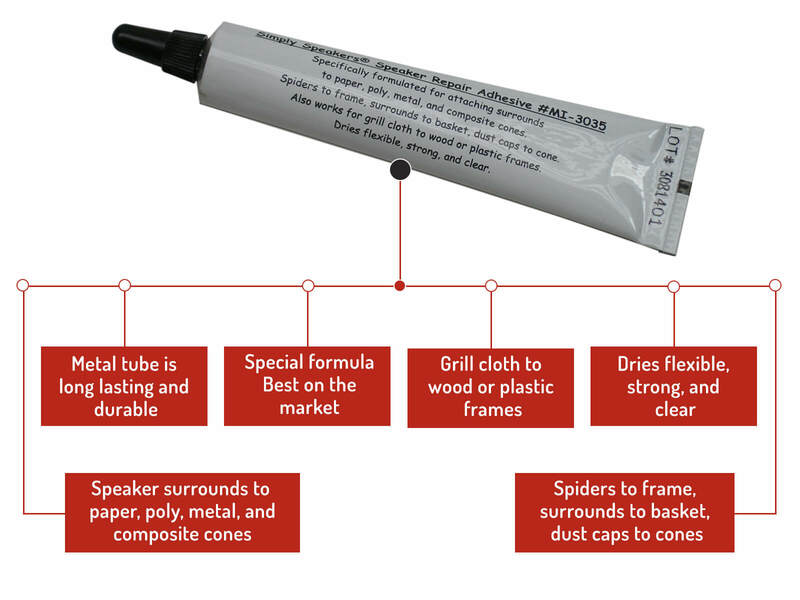 Fine product, excellent price and instructions. Thank you. These kits were for the ADS 300i plate speakers. parts were no longer available, so I opted to Re-foam them instead. The drivers are not round and the foam needed to be trimmed to fit. The small cardboard gasket was destroyed while removing the old foam and the kit does not include replacements. 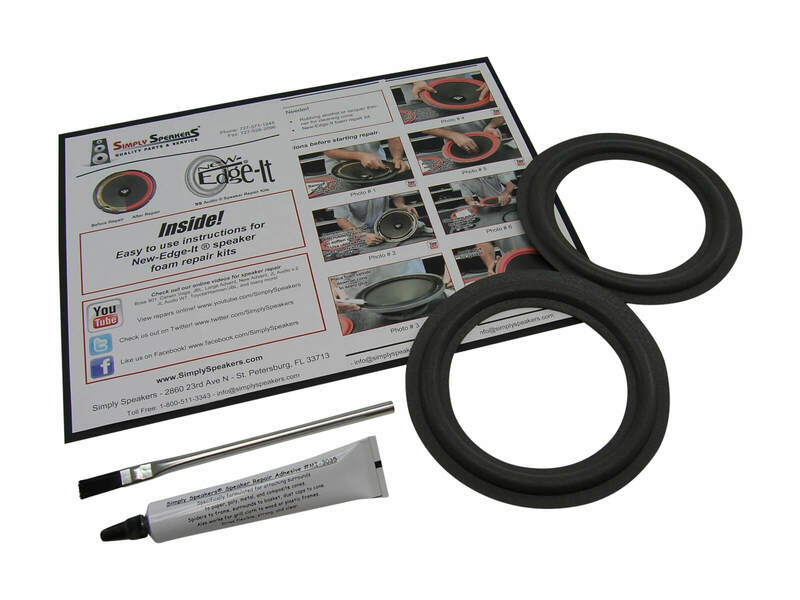 The gasket is only esthetic so the driver does not need it. So far the speakers are working good. I'm glad that I didn't have to toss these great old speakers. Had a little bit problem for installation of the repair kit. I contacted Simply speakers and they promptly replied my email and solved my problem. My old ADS 300 speakers sound great again. 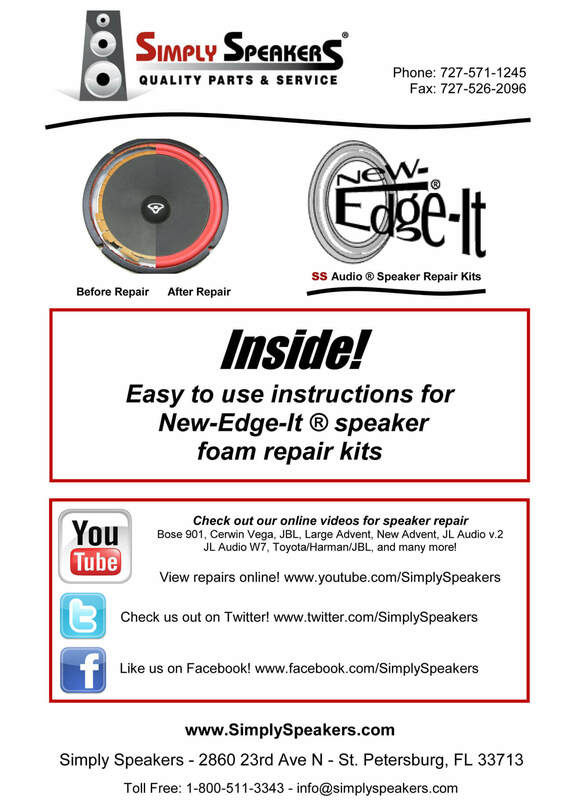 I am so appreciated their kind customer service and so glad I found a such great speaker parts supplier. Thank you Sean! 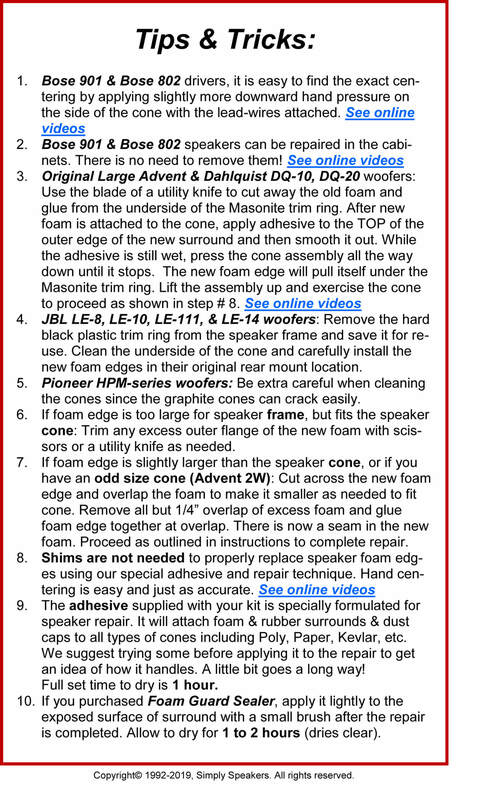 Q: HI I have ADS 300 (It just says Model 300 on the back of speakers) speakers need to be repaired on the edge of corns. I don't know 5.25" foam fit better or 5" fit better. it seems the diameter is 5". Could you tell me which one is better from my model number? Thanks. A: We recommend our kit # ADS-FSK-5L for the ADS-300 system. 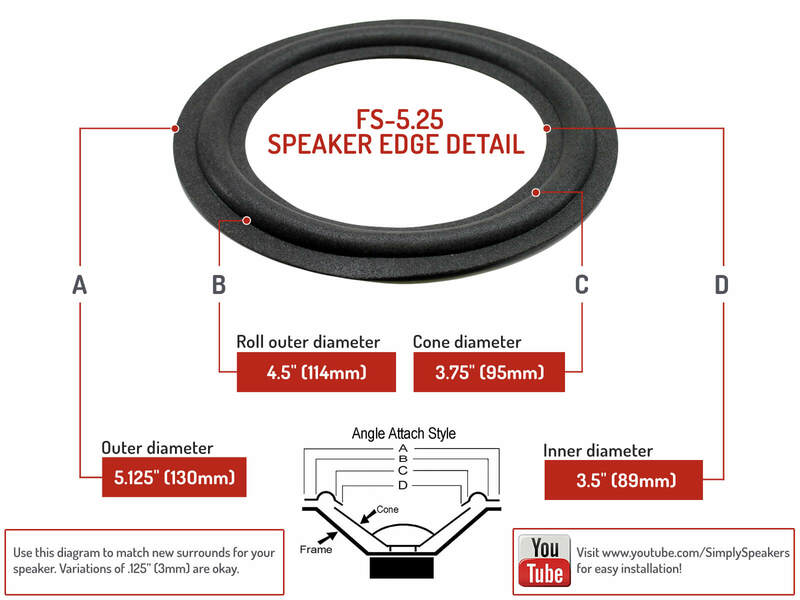 ADS: CM-5, CM5, (3.75" cone versions), and many more!